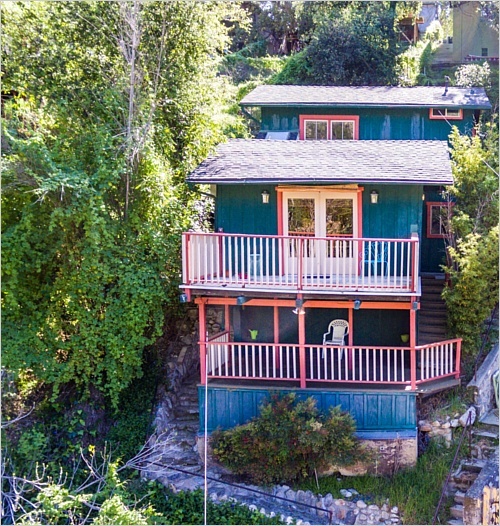 ''A Bird's Eye View'' Canyon Charmer w/Fabulous Vistas! 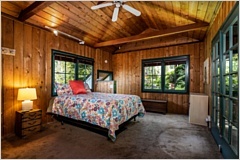 Sheltered amidst the sylvan backdrop of the Sierra Madre Canyon is this delightful 1923 cottage cabin. Full of character, old world charm, while providing all the expected conveniences. Quaint, the river rock stairway leads up to a private covered landing. 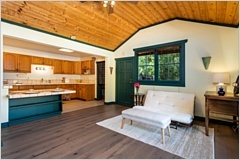 On to the open living room with vaulted Pine ceilings, French Oak flooring, cabinet built-ins. 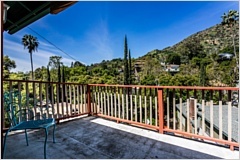 Through the French doors to a fabulous viewing deck/balcony, rendering sweeping vistas of the tree-lined Canyon & the majestic San Gabriel mountains. Modern Kitchen with Oak Cabinetry, tiled counters, porcelain sink, refrigerator, free standing stove & for everyday dining an oversize breakfast bar. 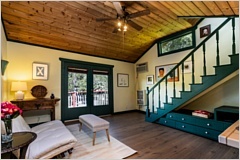 Upstairs a generous master-suite featuring pitched ceilings, exposed wood beams, warm rustic paneling & walk-in closet. 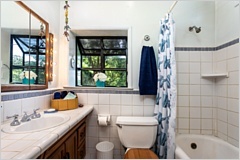 The updated bath is nicely tiled with decorative trim, vanity & a sunny garden window. 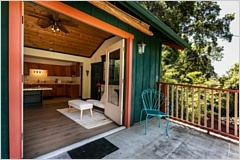 Off the master a secluded hillside retreat complete w/sundeck, perfect to gather your thoughts or commune with nature. Additional amenities include a separate laundry room plumbed for a stackable, tankless water heater, ceiling fans, freshly painted trim, newly lined sewer piping, inset storage & alcoved parking space. “The Bird House”, a little piece of heaven, nestled in the foothills of Sierra Madre!!! Canyon Living at it's Best!